We wish to assure our guests that the best available Mallorca luxury 5-star hotel rates online can only be found on our website. 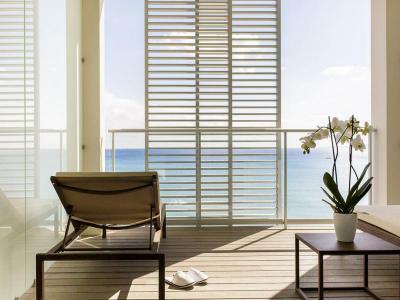 Our commitment to our guests includes offering incredible value, premier service, an incredible location and a promise that when you book your hotel reservations on our website, you are receiving our best rate available on the Internet. When you book direct with Pure Salt Luxury Hotels, you receive: - The Best Price - A 20€ voucher per stay to be used at the O Spa - Complimentary Welcome Drink - Spa Counselling Session* PURE SALT GARONDA RESTAURANT OPENING TIMES: Breakfast - 07:45-10:45 (Buffet Style -Show Cooking) Lunch, Snack and Day Food Service – 12:00 – 19:00 Dinners – 19:00-22:00 (A la carte) Drinks Service - 11:00 - 00:00 MIKEL & PINTXO OPENING TIMES: Open every day from 12.00am to closing time O SPA OPENING TIMES: 10.00 - 20.00 hrs. With 22 m2 of space, this beautiful room perfect for two and with the possibility of choosing between two single beds or a double bed, includes a space specially designed for golf clubs or suitcases, a large terrace overlooking the hotel's private garden, a innovative design, exclusive luxury toiletries and all the services of a 5* luxury hotel. Offering innovative design inspired by our natural surroundings, these spacious 25m2 rooms are perfect for two or three people and boast a private terrace with beautiful garden views and a range of premium amenities. 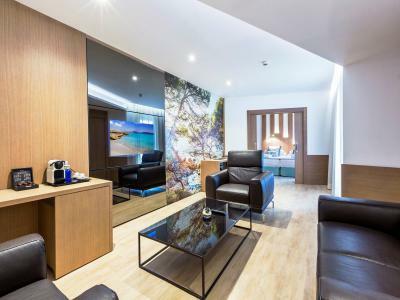 These 22m2 Double rooms includes specially designed storage for suitcases or golf clubs, a large terrace, beautiful sea views, high-end amenities and either two single beds or a double bed. Perfect for two guests. 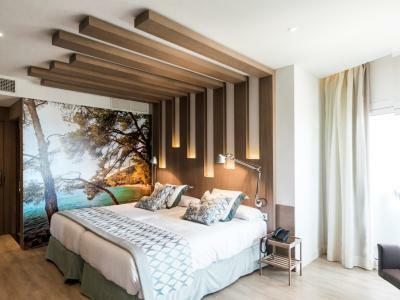 The new Premium rooms, located on the fifth floor, feature a creative and innovating design, nature inspired furnishing with spacious 25m2 indoor and a comfortable and ample terrace with beautiful sea views. Room has high-end amenities and either two, single beds or a double bed. 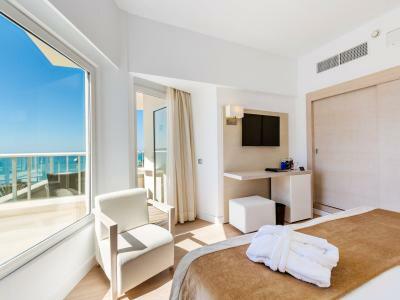 With between 40m2 of luxury space, plus 12 m2 terrace 12 m2, your Junior Suite Sea View has a Jacuzzi tub in the room facing the sea. 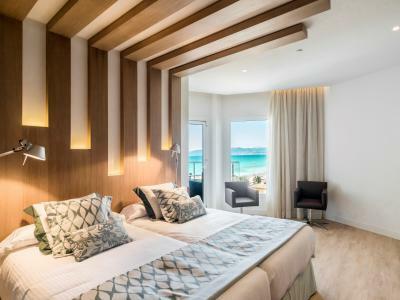 Ideal for an indulgent, luxurious stay in Mallorca with high-quality design and décor, a full bathroom with Bulgari amenities and stunning Mediterranean Sea views. Ideal for up to four guests, your Suite Garden View offers modern décor inspired by nature, two bedrooms measuring 41 m2 each, two bathrooms, a separate living room, a spacious terrace with beautiful garden views, and an array of luxury amenities.